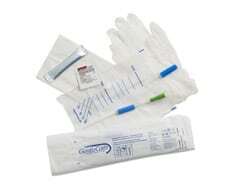 180 Medical Blog / Catheter Resources / Does It Matter What Brand of Catheter You Use? Does It Matter What Brand of Catheter You Use? For some, the topic of catheters can seem overwhelming, especially for individuals who are new to learning to self-cath. Whether you’ll be using intermittent catheters temporarily or on a long-term basis, you’ll be surprised by how simple the process can be once you’re familiar with it. Don’t get too overwhelmed by all the information out there, and know that you are not alone when it comes to catheterization. Plenty of people every day begin to self-cath and are becoming more comfortable with it as they go. Just take it one day at a time. One point of confusion about catheters that our customers sometimes encounter is trying to figure out which particular product to use. While your doctor will serve as a great resource in determining what type of catheter is best for you to use, there are some decisions you can make on your own, such as what brand of catheter to buy. So, does it really matter what brand of catheter you use? There are some product differences from brand to brand, but when you get your catheter supply from a reliable source, you can feel comfortable in knowing you’ll be taken care of. Reputable and well-known medical supply companies such as 180 Medical carry a wide selection of quality products from all of the top brands today, so you can rest assured that you’ll find the right product for your needs. Even so, there are leading brands in the industry with which you might want to be familiar: Bard, Coloplast, GentleCath, Hollister, MTG, Rochester, Rusch, LoFric, Cure, and Hi-Slip, just to name a few. 180 Medical is proud to carry a wide array of products from these well-known brands and many others. When you order your intermittent catheters from 180 Medical, you can be sure you’re receiving a quality product. Adjusting to life with a catheter can take time, so it’s our goal to make the process of purchasing them as easy and convenient as possible. We have one-of-a-kind instructional materials available as well, which can help you see and understand the self-cathing procedures with step-by-step catheterization instructions in print and on DVD. We have material available for men, women, girls, and boys. We also have catheter users on staff who can share their experiences and tips. Contact us today to discuss your options and find the right brand for your needs!